NORSAR software is integrated with Petrel via the Ocean Framework. The NORSAR Data Link plug-in exports data objects from Petrel to NORSAR, and imports data objects from NORSAR to Petrel. The Petrel objects are exported to either an existing NORSAR Modelling Project, or a new project is created automatically based on the properties of the exported objects. 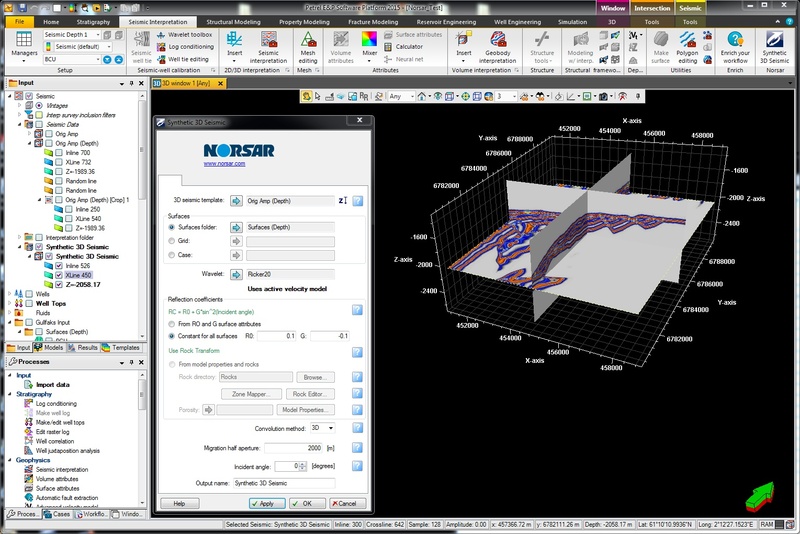 The exported data can be used directly with NORSAR products such as NORSAR-3D and SeisRoX. The NORSAR Data Link is available in the Schlumberger Ocean Store. Exports surfaces, seismic cubes, property cubes, wells, model grids and model cases to NORSAR. Exports the data to existing NORSAR projects. NORSAR projects can be created automatically based on exported data. Access the data immediately using NORSAR-3D or SeisRoX. Import seismic cubes, property cubes and surfaces from NORSAR to Petrel. Export and import are done just with a few clicks. NORSAR Synthetic 3D Seismic Petrel plug-in is targeted for any Petrel interpreter who wants to verify the quality of their interpretation in regards to the original seismic. It creates 3D synthetic cubes using an unique 3D convolution method which takes into account illumination effects. Is your porosity distribution correct? Is your initial interpretation correct? The Synthetic 3D Seismic plug-in for Petrel. 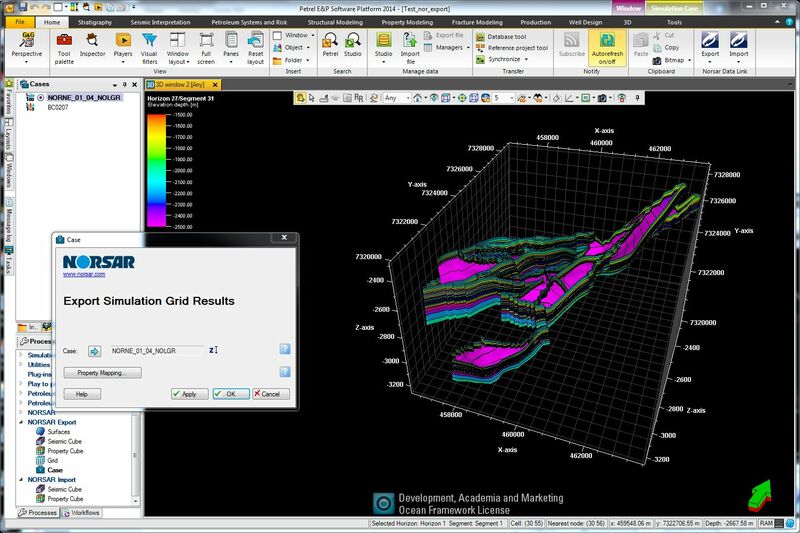 The plug-in generates synthetic migrated 3D seismic that incorporate 3D illumination and resolution effects from seismic aperture, overburden and reservoir using a patented method called SimPLI (Simulated Prestack Local Imaging). Read more about the SimPLI concept here. The NORSAR Synthetic 3D Seismic is available in the Schlumberger Ocean Store. Petrel is a trademark of Schlumberger Limited.